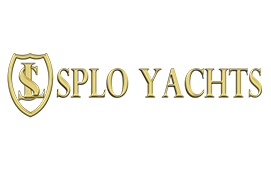 SPLO YACHTS, behalf of Shinwoo Industrial Co., Ltd., has been manufacturing since 1998 in the field of Plant Design, Construction, and Shipbuilding industry. We expanded Leisure yacht industry in a recent year. Our experience in Ship E/R packages, Purifier units and plants facilities, all become base of solid foundation to build environmental-friendly leisure and luxury yachts. We shall continue research and develop to emphasise “Customer Satisfaction” and “Innovation” as foremost goal. The latest, SPLO Family just create new LOTUS model 52 feet with shallow draft 3.87ft , is ideal for the Asian, Caribbean, and Mediterranean for freedom. Lotus is a modern, reliable performance, elegant, and remarkable simplicity embodying all features of SPLO Yacht cutting-edge “Ocean Touring” concept. She is an alternative of the best vibrant deck party, relaxing family cruising and power efficiency.